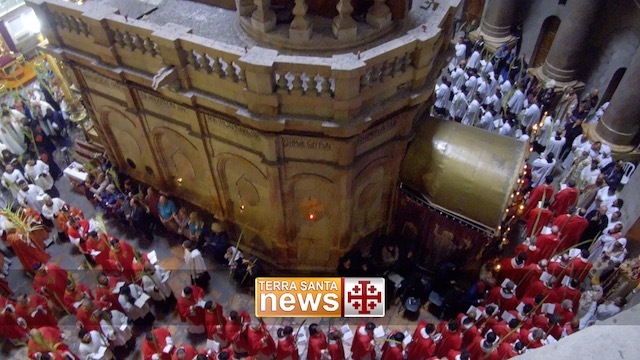 home / Multimedia / The Holy Land in news / “Desire for water” in Bethlehem: new water tanks as .. Being able to take a hot shower, do laundry, cook and wash dishes are actions that very often we do automatically without thinking about the fact that in many parts of the world all these are privileges that only few can enjoy. Bethlehem is one of these less fortunate places. Observing the expanse of houses that extends from the Basilica of the Nativity, the look can not but dwell on the hundreds of tanks that, among the crosses of the bell towers, sprout on the roofs are large cisterns of black or white that the inhabitants use to conserve water so you can consume it in difficult times. 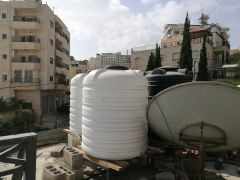 The lack of water afflicts Bethlehem with extreme frequency, the data of international organizations and the PWA (Palestinian Water Authority) are alarming: an old water system, with damage to the pipes, does not always guarantee clean and drinkable water, and running water reaches the houses only 20 days a month, in the remaining period the cans on the roofs are an indispensable tool to cope with the inconvenience. 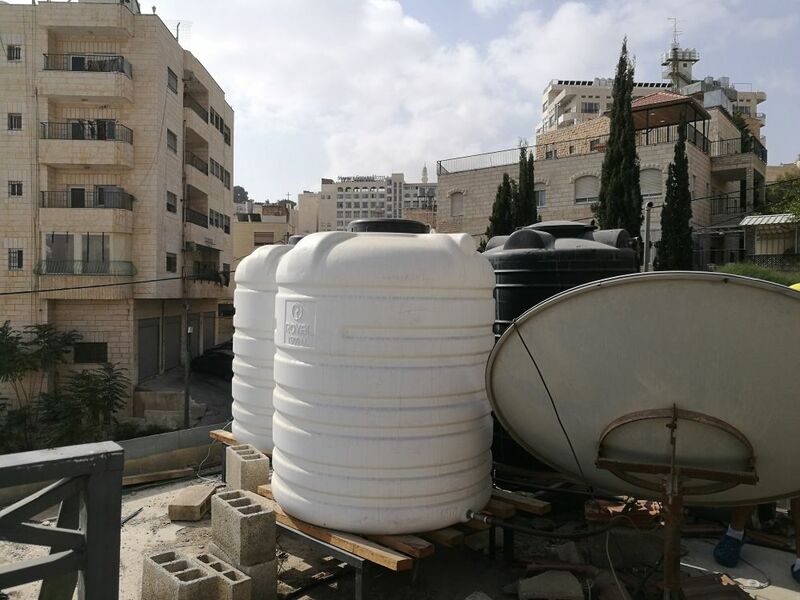 We followed Muna and Naila, respectively the head of the technical office and the social worker of ATS pro Terra Sancta in Bethlehem, in a visit to a house in which the installation of two new tanks has just been completed. Rana opens the door of the house welcoming us with a big smile, invites us to enter and makes us sit in his living room with his two sons Rami of 17 and Hussam of 13 years. The biggest, Miriam is not at home because she is studying at university. Rana does not speak English, but thanks to the help of Naila, Muna and her eldest son we can communicate with her and let us tell her story. The story of Rana and her family is similar to that of many others here in Beltemme: poorly paid jobs and many expenses, especially to ensure a good education for their children. Rana has just found a job in a bakery, her husband Ahmad, a day laborer, at the moment can not work. In fact, to the complicated family situation from an economic point of view, a judicial problem is added: Ahmad, to help the family, has been the guarantor for the brother of a large sum of money that, unfortunately, he could not give back. The law is very clear: not only the debtor, but also the guarantor in his name, in case of non-payment, risks many years of imprisonment and for this Ahmad had to flee from Bethlehem. In severe difficulty, Rana found the courage to ask for help and turned to ATS pro Terra Sancta: “Initially I did not want to, but I did it for the good of my children, we were forced to buy plastic bottles to wash ourselves, but now we have less concern and live with less stress “. Let’s stay with them a little longer so that we can tell Hussam how the school is going, the maturity test that Rami will have to face this year and the aspirations for the future of these kids and when we ask them what they want for this Christmas: “ATS he has already given us a great gift, now we just want to be able to stay together again with our father “. Find out more about the “Desire for water” project!